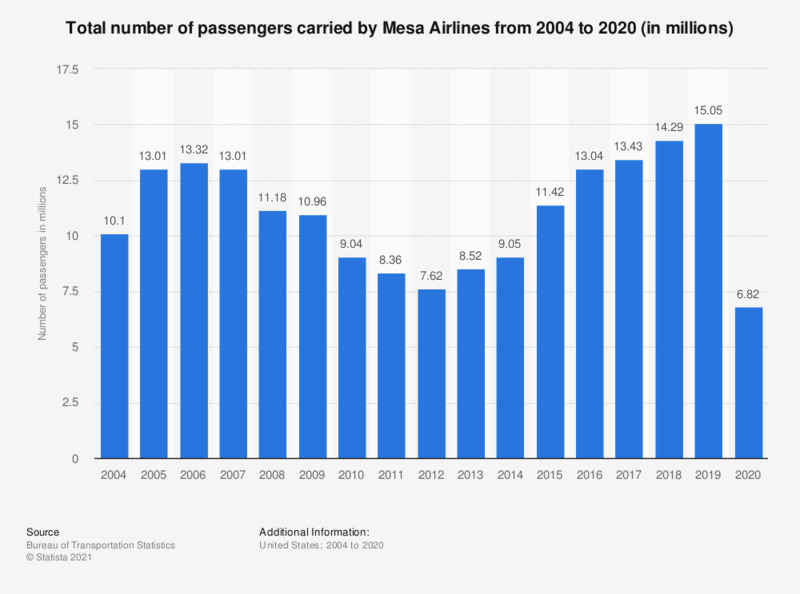 This statistic depicts the total number of passengers carried by Mesa Airlines from 2004 to 2017. In 2017, the American regional airline carried just over 13.4 million passengers on its domestic and international flights. To retrieve data, please select "Mesa Airlines" by clicking on "All U.S. Carriers" and select "Passengers". Figures are for scheduled services (domestic and international) and have been rounded. Everything On "Regional airlines in the United States" in One Document: Edited and Divided into Handy Chapters. Including Detailed References. Statistics on "Regional airlines in the United States"